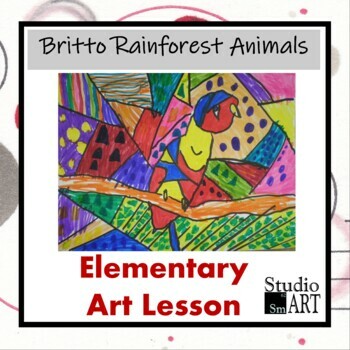 This art lesson introduces students to bold and colorful art of Brazilian-born artist Romero Britto through the drawing of rainforest animals emulating the artist's signature style. 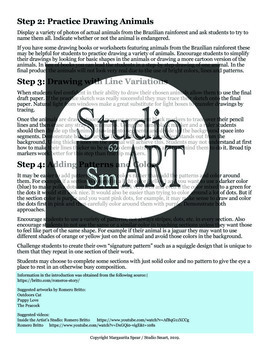 Students also demonstrate understanding of line variation and pattern. 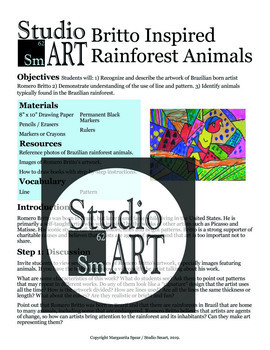 The lesson was designed to take two 45-minute classes to complete.